Congratulations to the California Department of Public Health for releasing publicly-available interactive data visualizations! 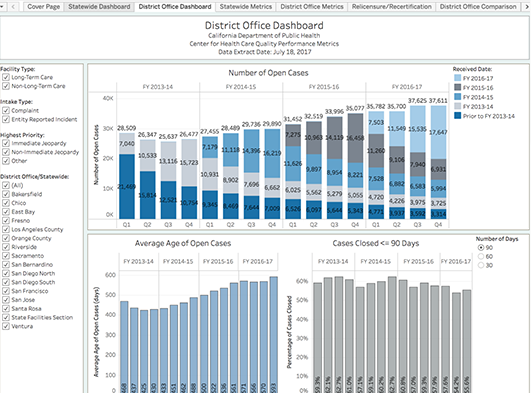 As one of the first State Agencies to provide public data via interactive dashboards, they are setting the pace for transforming static reports into dynamic, user-friendly tools. By utilizing these tools, CDPH is providing the public with a way to connect with publicly available data like never before, while encouraging them to ask questions, explore data, and make their own unique data discoveries. To view the dashboards, click here. For more information on how your organization can utilize data visualizations to connect users with data, please email us at info@analyticaconsulting.com.